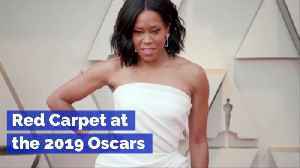 He may have lost out on the Best Supporting Actor prize, but Richard E Grant still felt like a winner at the Oscars last Sunday night, when his dreams came true and he met his idol Barbara Streisand. 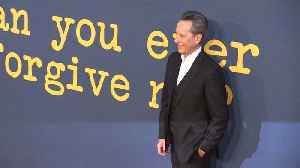 Since being nominated for an Oscar for his role in “Can You Ever Forgive Me?”, Richard E. Grant has been charming everyone with his excitement. One of the most adorable admissions has been his.. 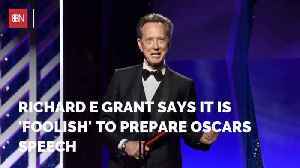 The opinion of Oscar nominee Richard Grant. 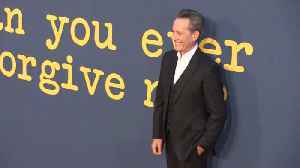 Richard E Grant says it is 'foolish' to prepare Oscars speech Richard E Grant is up for Best Supporting Actor at this year's Academy Award ceremony, but he feels it would be "foolish" for him to..
Richard E. Grant is living the dream after revealing Tom Hanks gushed about his role in 'Can you ever forgive me?' at a Hollywood party.